Visionaries in medieval times practiced alchemy in pursuit of transforming something common into something of extraordinary value. In their case it was about the pursuit of the philosopher’s stone, the elixir of life and precious metals such as gold. 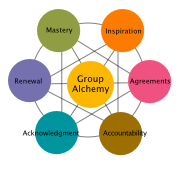 Group Alchemy® extends this tradition to groups of people who share a common purpose. The gold we seek is the collective expertise and wisdom at the heart of every group applied effectively towards realizing their vision. This is a transformation. A collection of individuals becomes a powerful group that creates extraordinary results and life-enhancing experiences for its members. The culture in your group is the key to its gold. It is a simple and important fact that all groups of people who interact routinely develop a unique culture. This culture can support your success or detract from it. A successful culture doesn’t happen automatically simply because well-intentioned people come together. It requires attention to a system of behaviors that create a culture that serves your purpose. Our twenty years of research shows that there are particular practices that keep a group of people working together optimally. 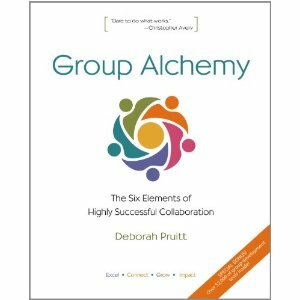 We’ve organized this set of core practices into a formula – the Formula for Group Alchemy® – to make it clear and easy to put the habits in place that connect all the skills, talents and wisdom in your group. While the names of these six elements are familiar, in truth, each have distinct perspectives and practices that represent uncommon understanding and ways of interacting in a group. When combined together and turned into habits they transform your group in powerful ways. These are practices that everyone can learn and that the group must cultivate together. Every group can improve its results by building these habits in ways that fit your particular situation. With your unique cultural chemistry in place, everyone is attuned to your purpose and the particular ways of working together that maximize your capabilities. Your group becomes flexible and nimble in an atmosphere of camaraderie and excellence. Anything you want to do is then possible: you are tapping into the full wisdom and power of your group. The Alliance for Nonprofit Management presents this award to the most inspirational and useful new book of the year. Deborah's strategies for successful collaboration has made a HUGE difference in our workplace. I have also used Deborah's wise counsel to adjust my approach with family and others and experienced very favorable results. It is a must read and you will definitely want to purchase copies for the people with whom you live and work afterwards! "From working with Group Alchemy our executive group really pulled together - people became more engaged and more accommodating when needed. The effect has been greater trust and confidence with less tension. During the Group Alchemy program we were able to come to agreement on a pivotal strategic decision that had been a source of contention in the group. 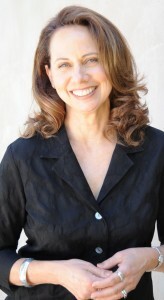 Deborah helped us to develop practices that encourages people to step up and do what is needed." Practical: Based on what works, the formula is easy to understand, remember and apply. These practices are proven to make a big difference in a short amount of time. Universal: Any group can improve its results by applying the universal principles of this formula in the distinctive ways that suit your particular situation. Holistic: As elements of culture, the practices in the formula are interconnected. Developing one element enhances development in the others. Transformational: Each element embodies distinctive insights and intentions that turn ordinary concepts into powerful elements of change capable of transforming collections of people into powerful groups.